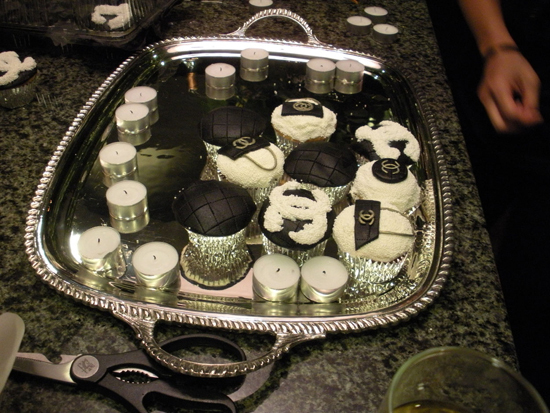 I definitely don’t have the skill set to accomplish these DIY Chanel cupcakes that Taylor (the fabulous Taylor from the Zoe Project) posted on her blog. But I love them anways! Ukranian fashion designer Elena Burenina sent looks featuring prosthetic limbs down the runway at Kiev Fashion Week. Yah, of course they did …. Any chance I could do this myself? Is it weird that I find this to be stunning? Is at all possible that this could turn into a DIY project with a be-dazzler? Think we could sell it retail at Tra Tutti? First of the Year, First Lady! all week in celebration of 2010! I know Christmas has passed, but I just heard about these Moschino windows and had to share! Their NY store window this holiday season featured Santa with his therapist and his adorable pup in wait! There is no fashion label more playful, quirky, or irreverent than Moschino which is why Tra Tutti carries so many fashion-forward and quirky pieces!